It is Always About Customer Service! Today I’d like to chat about the different types of support staff you need and what makes them so important. All of these roles need to be played simultaneously by different people with the right talents. It’s all about balance. This person represents the past and works to fix problems through learning from past mistakes. They are the practical side of the business and is in charge of putting together the business and overseeing the planning. All three of these characters are essential in the success of any business and to build a solid foundation from the start, you need to work harder to find the right people to put in these roles. Obviously, you need to be one of these key people, but ensure you find the role that fits your skills and talents, not necessarily what you THINK you should be doing. This may be a hard process for you as you will need to relinquish some control over the business and instill trust in people to allow them to do their jobs. 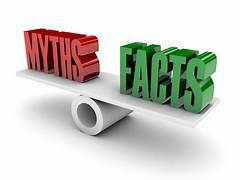 Remember, our business coaches can help you through this entire process and teach you how to avoid falling victim to e-myths. If you’re not sure where you start with your marketing plan or how to reach out to your local community, competitors, customers/clients and others who could influence your business in a highly positive way, try our FREE test drive to experience the tools and resources we have to boost your business to the next level and beyond. If you would like to learn the specifics of generating more leads than you can handle, or if you would like me to find you a minimum of $10,000 in lost revenue in under 45 minutes, click here to set up a free phone consultation. As a bonus I will also show you how to reclaim that lost revenue without spending a dime! You will never be sold anything. We want to be your go-to company for world-class, effective education. This sounds great, but it just not realistic. Think of starting a business as a marathon. Sure, everyone starts out of the gate at record pace, but after a few miles people start slowing and some drop out entirely. Building a successful business takes stamina and agility. The reality is that there are many different facets to a successful business and none of them can be ignored if you plan to find success. This is usually cause by the e-myths and assumptions we talked about. You can get your hopes so high on instant success that even the smallest lag and you are sent into an emotional tailspin. This is also brought on by the stark realization that you can’t do it all and will need help in the areas where you don’t have the knowledge. Now, faced with limited choices you may feel like you need to back out and hide, but don’t do this. 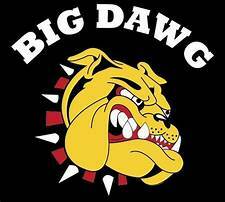 Do It Like the Big Dawgs! Today we’ll take a look at how the kings of industry wine, dine and otherwise cajole prospects. Most of successful professionals use a series of information-based ads that build emotion and a call to action. These are much more effective than a standard company branding advertisements. The same principles that go into putting together a high impact (and, often, high priced) ad campaign can be adapted to fit your needs with similar results. Put together a short report that’ll you’ll automatically send to prospects when they contact you. This should include a short description of your business and what you specialize in. Don’t forget to include case studies, samples or other proof of your success. Consider newsletters as a way of educating and informing customers about your industry and services offered. Offer a free seminar, webinar or other lecture to build awareness of your business, but make sure you make the information pertinent to your target market and find speakers who are respected and known in the industry. Buy an existing business, introduce better marketing and grow this new business faster than a “from scratch” business. Always test different versions of your ads to find the most effective ones. Use direct mail marketing to grow your business. Put together a database of previous customers and send them new information. Offer incentives such as frequent purchasing benefits, loyalty programs, referral programs or others. Approach large firms who may need your services and negotiate a deal to be their exclusive expert in your field. Offer a 24-hour information line with a regularly updated recorded message. Make this available to all past and future customers/clients. Donate time or materials to local charities to show support in your area. Offer public clinics for the general public to come along and discuss what they need that’s free and approachable. Organize seminars your customers/clients can pay to attend by putting together a high-perception value package. Approach local newspaper by offering to write a weekly column about your area of expertise. Don’t ask for money, just a byline and bio. Develop a weekend or other destination seminar for customers/clients, not only does this give you an action-packed weekend with the most important people, it gives them a tax-deductible business adventure. Take a good seminar and turn it into written form as a home study, member site program, audio or video program. Approach large companies and offer to give seminars to their employees, investors or management. Be proactive with your marketing plan. Barter for your marketing. Offer products or services in lieu of payment. Be willing to bring in new clients, even if at an initial loss because it will likely pay off later. Regulate your marketing budget to maximize the potential income from them to hit the next year and try to push back advertising costs for the next year to offset your expenses. Make offers to target markets or target market businesses to pay them for referrals or shared databases. Offer loaner products to replace equipment that’s be repaired or refurbished. Give away something free to everyone who brings in a print version of your advertisement. This is a great way to see which ads are giving you the most bang for your buck. Continually consider what new products/services you can offer to current customers/clients. Develop a mail order division of your company. Offer a proposition to your competitors to trade customers/clients you were both unsuccessful in selling to. Use different marketing tactics as an excuse to attract new customers/clients with new offers and goodies. Offer a “you-choose-the-price” program. This is especially good for product you just can’t seem to sell. Get involved you in your community-volunteer, donate to local events, etc. Join your local Chamber of Commerce and attend the networking and other activities throughout the year. Join a local, state or regional professional associate for further networking opportunities. Become a board member of a local organization. Advertising should never be your only method of marketing, there are a myriad of ways to get your name out there in a way that feels personal to potential customers/clients. Compact your press release to include one hook and one angle. Choose the most attention-getting to make sure the media person you are sending it to is interested in reading it. Put your press release in professional formatting. With press releases you need a dateline, the most important information at the top, facts, figures and wrap it up with contact details including who and how. Print the press release on your letterhead. 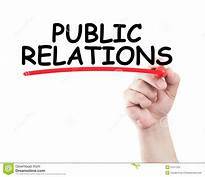 More importantly than a perfect press release is to make sure you have addressed the needs of your target market in the products/services you offer and made that clear in the press release. 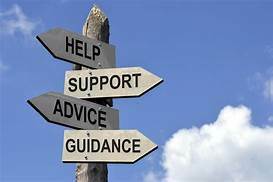 If you are provided people a solution to a problem, a way to avoid a problem and an opportunity to enhance their life the media and public will be interested. If you have a connection (or the ability to get a connection) with a celebrity, this can practically guarantee you’ll get attention. Make sure you are offered newsworthy information, and then follow up with media outlets to make sure they are publicizing that information. Our FREE test drive can show you how to put together press releases that work! Check out how the pro’s do it and craft the perfect press releases for your business. Today you’ll learn how to use direct mail marketing and, yes, telemarketing to your full advantage. I know, the word “telemarketing” might as well be four letters, but there is a way to help customers feel like they are getting personal attention and keep them from blocking your number! List all benefits customers will get from the purchase of your products and services. Pick the single most powerful benefit out of that list. Build an attention-getting headline around that benefit. Remember to use emotion-fulfill the desire to be young, wealthy, desired, popular or successful. Develop a sales letter using the headline you created to grab attention, provide information and motivate customers to act. Put together supplementary items, such as a brochure, order form, reply envelope or note that encourages them to read the letter. Rent or purchase a mailing list. Compare cost of mailing vs. cost per order. Continue to test and refine your direct mail marketing plan. You can see how direct mail marketing can help you find a local or even country-wide target market to send letters or postcards to and draw in new clientele and customers. Fine-tuning your marketing campaign will bring better results and therefore lower the overall cost of the campaign. Put together a plan, so you know exactly what you want to accomplish during the call. Develop a list of topics to discuss and the questions you want to present around these topics. Input verbiage checking to see if you are calling at a good time. Include enough questions to keep the conversation interesting, but not too many to sound like you are interrogating. Start with broad questions and narrow your focus as the conversation continues. Offer feedback to show them you are paying attention and appreciate their time. Don’t insult their intelligence or manipulate them. Telemarketing doesn’t have to be the trauma it’s made out to be. 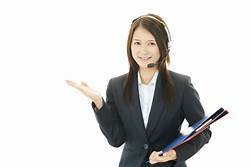 You can put together an honest, personal and effective telemarketing campaign that is endearing, informative and gets the job done. Think of how you would want to be treated on a marketing call. Ask your friends and family what they hate most about the telemarketing calls they get and work hard to craft your plan in a better way. It’s easy to see how direct mail marketing and telemarketing can positively affect your business by bringing in new customers and increasing the level of awareness about your products, services and company branding. Our FREE test drive offers the resources and tools you need to work through these processes and put together the best marketing plan you can.